'Real Steel' quotes include some of the best lines from the 2011 sci-fi/action movie starring Hugh Jackman and...boxing robots! 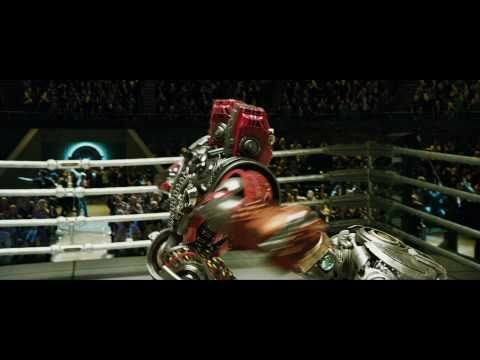 The movie 'Real Steel' definitely includes some great quotes, including commentary by Charlie, the lead character, on the state of boxing ('times have changed') and his struggle to find a way to stay relevant, now that robots are the stars of the ring. Enjoy these 'Real Steel' movie quotes, vote for your favorites too - and if you see a quote that's missing? Add it to the list! Max: "What are we looking for?" Charlie Kenton: "Anything I can use to put a fighting bot together." Charlie finally decides to hit up a junkyard, to try and find enough parts to assemble his own fighting robot, but it's Max who makes the real discovery: Atom. Charlie: "Times have changed. Fighting has changed. But the crowd? They never change. They just get bigger. The human body can only take so much. But the steel never stops." Things have changed for Charlie Kenton. It's 2020 now, and robot boxing is now the biggest sport in the world. He's going to have to make some serious adjustments if he wants to succeed. Charlie: "This is what it's all about! Let's make some money!" Charlie: "I just need a little loan." Finn: "As much as I like you dude, you're a bad bet brother." Hopefully Charlie can find a way to turn things around and make a comeback - he sure can't get much lower.